Tatsuya Oe founded the Dark Model project, to give a vent to his electronic - orchestral passions. As a result comes 16 track album with the same title. With an extensive experience on the dance scene both as a DJ, producer and person responsible for remixes for various artists, he knows well what can be done to surprise the listener. What distinguishes this album from the previous achievements of the artist, is the use of sounds, which are devoid of text, and are intended to convey through specific adventure stories. 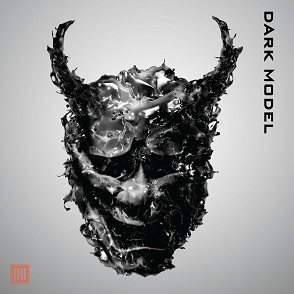 Essence on "Dark Model" are sounds aimed on creating a unique combination, of quite seemingly standing out from each other genres, such as the broadly defined electronics, classical music and the dubstep itself. Even if Tatsuya Oe takes on his workshop so distant stylistics, he is fully aware of the purpose for which they are used. It is strongly felt throughout the whole album. The individual tracks are different when it comes both to the terms of sound that is applied and emotions that are transmitted. There are allusions to the work of Ennio Morricone and Vangelis. The reference to traditional Japanese music - "Onibi (Demon Fire)", "Ran (Resistance)", "Prayer for the New Moon". And in rich instrumentation are used violin, string sections, contrabass, piano, sounds of wind instruments, roar of electric guitars and synthesizers. "Dark Model" release includes a cross-section of different emotions that, step by step, start to take control over the body of the unsuspecting listener, as the next tones of those musical explorations resound. Tatsuya Oe consciously recorded the album, which is kept in the form of a movie soundtrack. This opens up the possibility to combine different musical genres, and by using them to express varied emotional states of the artist. A musical torpedo.